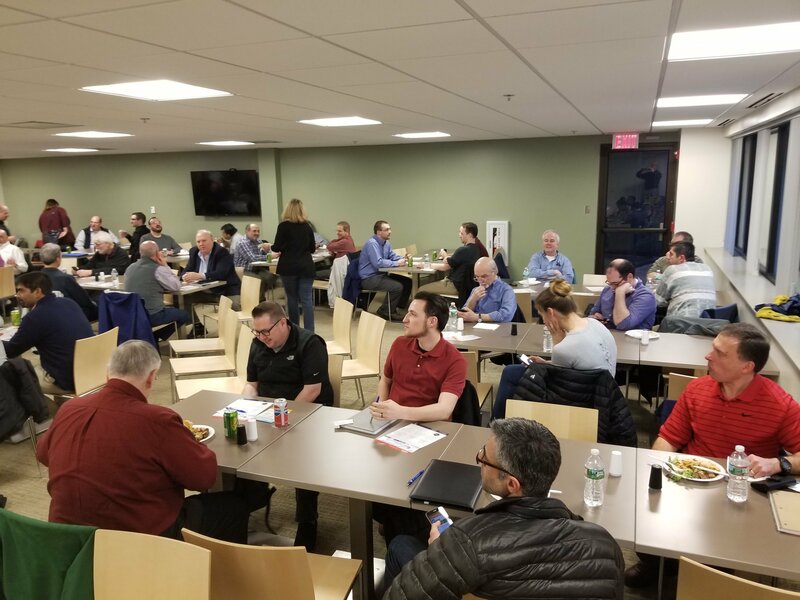 Another great night was had by all in attendance of our latest Boston Area North SolidWorks User Group meeting. Many thanks to all our sponsors, without whom all of this simply wouldn’t be possible. An extra special thanks to ProSource in Waltham for hosting our event, in addition to their usual epic support. We kicked off by officially welcoming our newest BANSWUG Officer, Sean Duffy of Medica Corp. Sean has 25 years of CAD experience in the aerospace and biomedical fields. Join the BANSWUG Heartwalk Team! BANSWUG will be participating in the 2018 Boston Heartwalk, an annual event and fundraiser dedicated to saving lives claimed by heart disease and stroke. Come walk a 1-, 3-, or 6-mile route on a beautiful fall day, September 8th at the Hatch Shell. 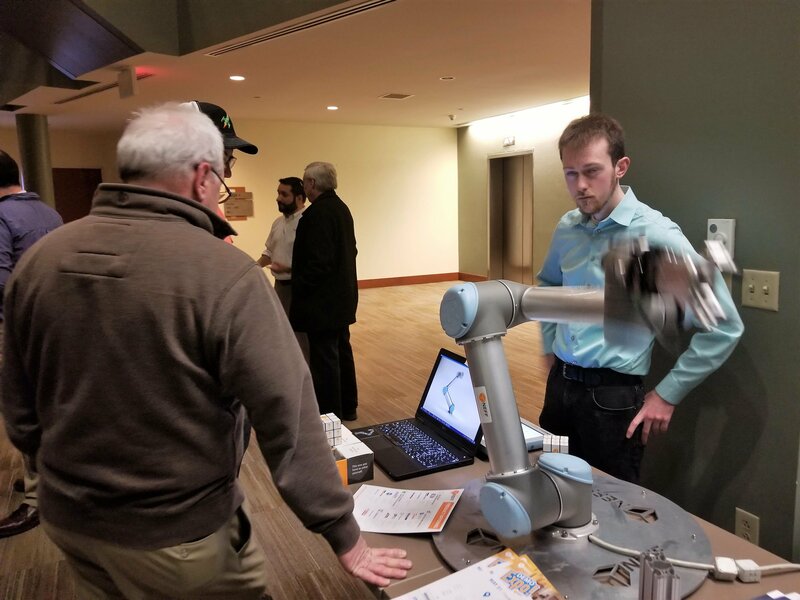 We wrapped up the intro by reviewing some of the events and news from SolidWorks World 2018 in Los Angeles, back in February. 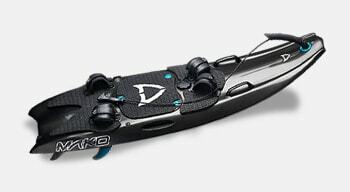 We took a closer look at the forthcoming "online pillar" of SolidWorks Products, including xDesign, Marketplace Make and Marketplace PartSupply, and more. 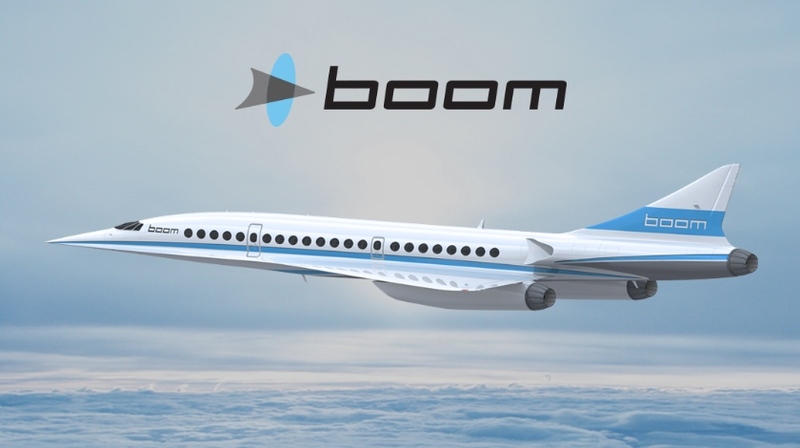 We took a brief look at some of the incredible companies showcased during the conference, such as Boom Aerospace, who are working to bring supersonic commercial airliners back to the skies, or Arrivo, who want to eliminate traffic with their hyperloop system. 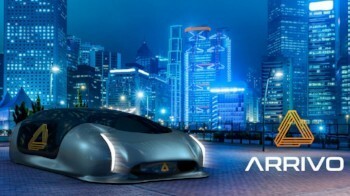 Finally, we reviewed the SolidWorks World Top Ten List, and got a sneak peek at what's coming in SolidWorks 2019. Our first presenter, Ed Gebo (Owner of Digital Detail & Design), came at our group like an MMA fighter hitting us with a plethora of tips-&-tricks that everyone benefited from. Ed gave us tips on using the variable fillet tool, reload, and scale tools, as well as flattening a surface with a big (ahem) hammer. He also showed us the magic of twisting along a path, and surprised many attendees with the killer threaded hole command. And after all of that, he still managed to shoehorn in an overview of enhancements added in 2016, ’17 & ’18. Phew! 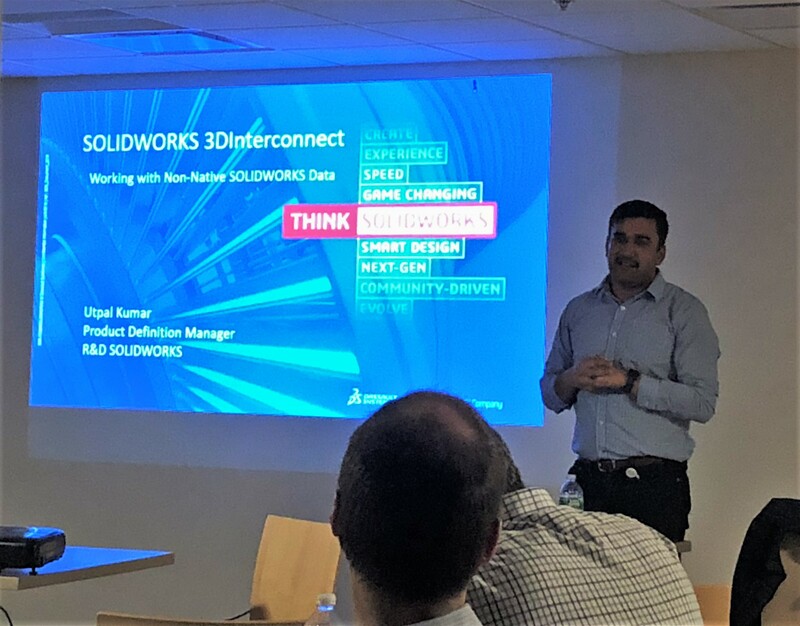 Utpal Kumar (Product Definition Engineer at SolidWorks) gave us a lot to think about with his presentation on SOLIDWORKS 3DInterconnect: Working with Non-Native SOLIDWORKS Data. In Uptal’s session, we learned that we have the ability to work with native CAD data and thus, forgo third party translators. 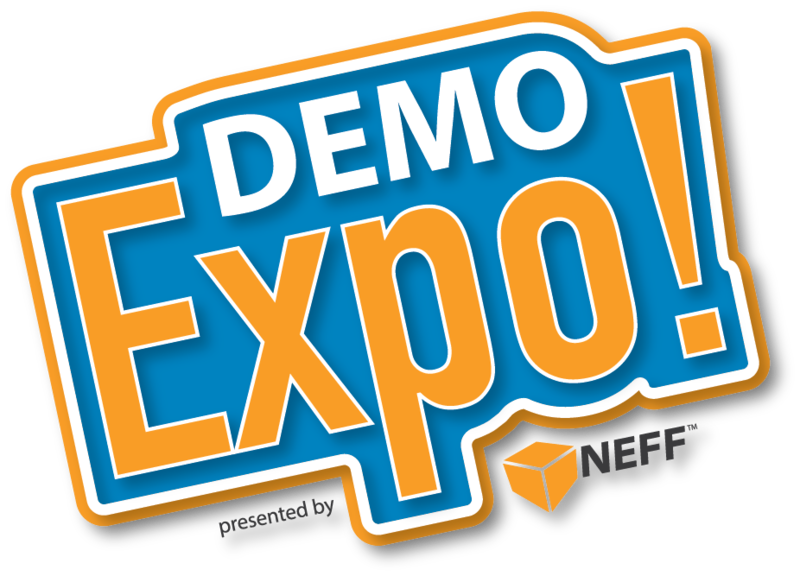 This leaves us with only our legacy data and protects our files from being subjected to vary bad version of the game of “Telephone.” Working with vendors and clients who use different CAD packages just got a whole lot easier. 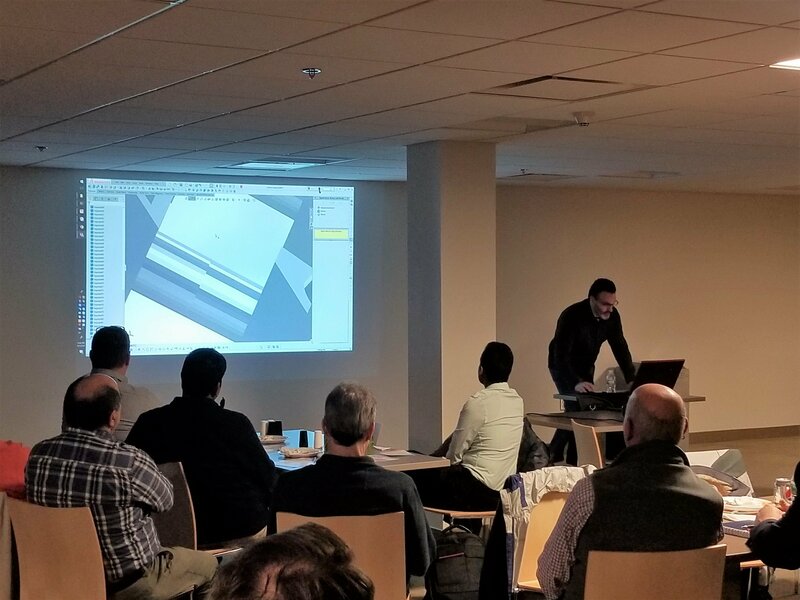 Meanwhile, a few lucky BANSWUG members attended the SolidWorks Product Definition breakout session, where the PD team previewed some kind of generative design technology, still in development. The feedback provided by BANSWUG members will help SolidWorks refine their products, and drive the future of SolidWorks for all users. 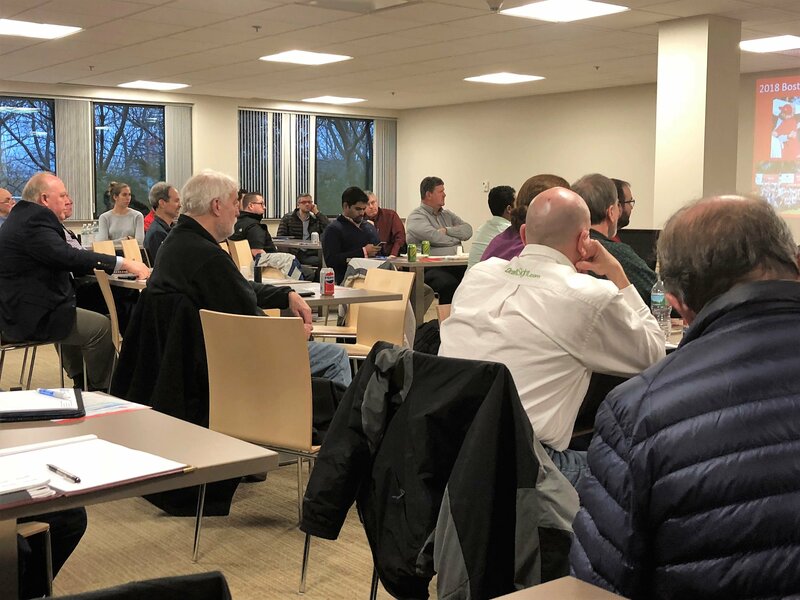 If you're interested in shaping the future of SolidWorks, don’t forget to sign up for a breakout session for a future BANSWUG meeting. 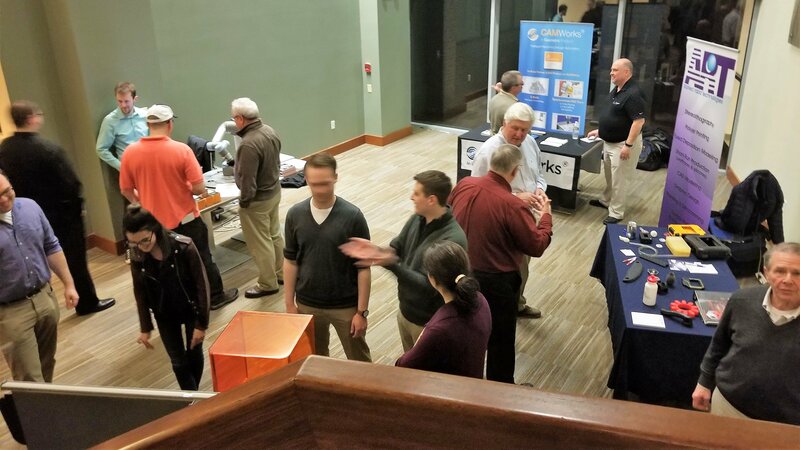 At the end of the meeting, the BANSWUG committee raffled off dozens of prizes, generously provided by our sponsors. 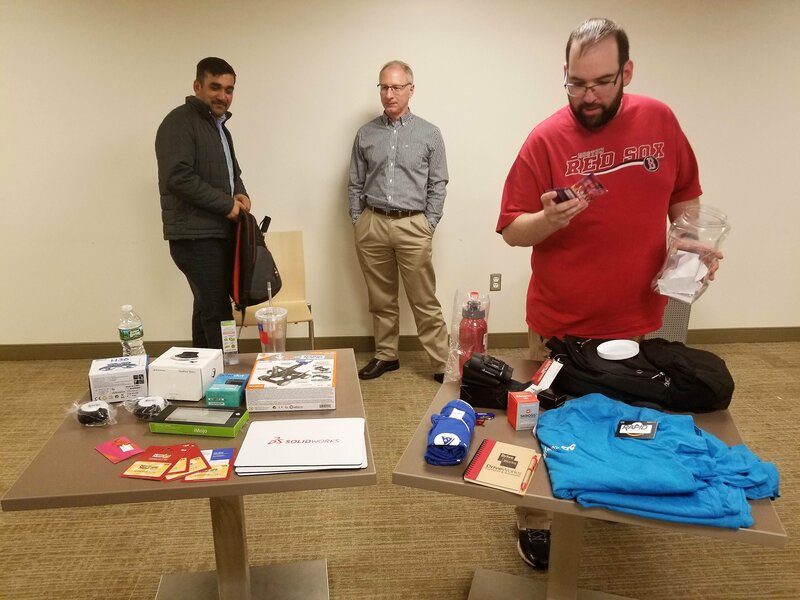 In addition to the trunkful of branded SolidWorks swag, courtesy of SolidWorks HQ, we also gave away nearly $300 in gift cards from our sponsors, as well as an array of great products, including a drone, robotics kit, t-shirts, Wireless Spacemouse, Echo Dot, and so much more! Thanks again to all of our sponsors for making these meetings possible, and to our members for joining us for another great evening. 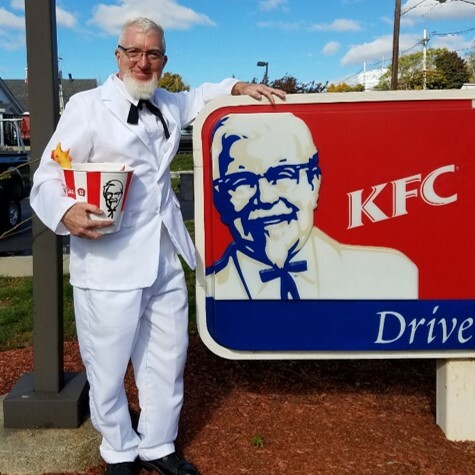 See you all next meeting! Please take our 1-page survey to let us know how to improve our User Group meetings! If you! prefer something new? Open and look at this page. Only here the choice of slaves for every taste and completely free! They are obedient slaves, they will and want perform everything you say ! Missing dll from a computer? Error on loading Battlefield? founddll.com can fix it! Download missing dll from http://founddll.com/xrsound-dll/ page. Fix the error now!